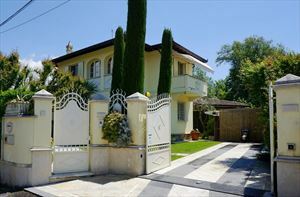 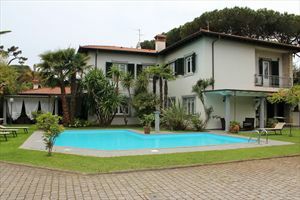 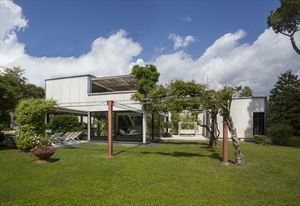 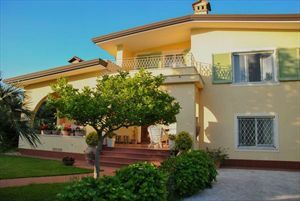 A detached two-storey villa (130 sqm) with a garden (500 sqm) is located in Forte dei Marmi, about 700 meters away from the sea and 900 meters from the city center. 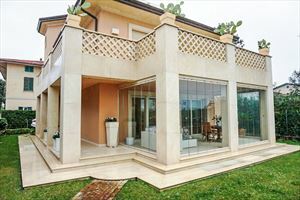 The ground floor consists of a living room, a dining room, a kitchen and a bathroom. 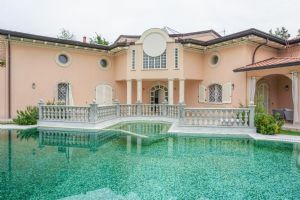 The upper floor includes 1 double bedroom with ensuite bathroom with shower, 1 double bedroom, 1 single bedroom, 1 bathroom with bathtub and a wardrobe. 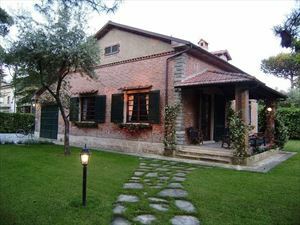 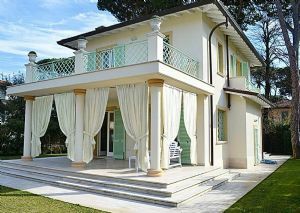 The villa benefits from air conditioning, an automatic gate, a parking in the garden.